Play as the first Avenger! 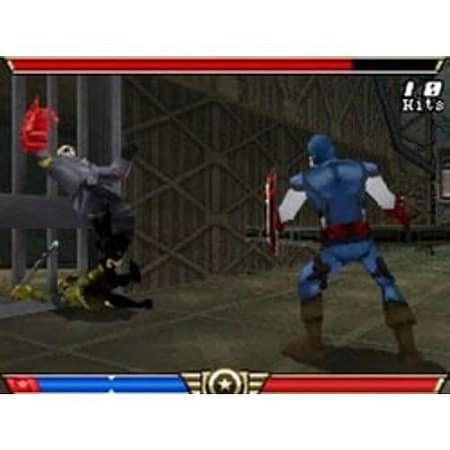 Captain America: Super Soldieris a third person action adventure game which combines dynamic acrobatic platforming with a fast and fluid melee combat system. Written by renowned Marvel comic writer Christos Gage the game follows an engaging storyline set within the period of WWII. 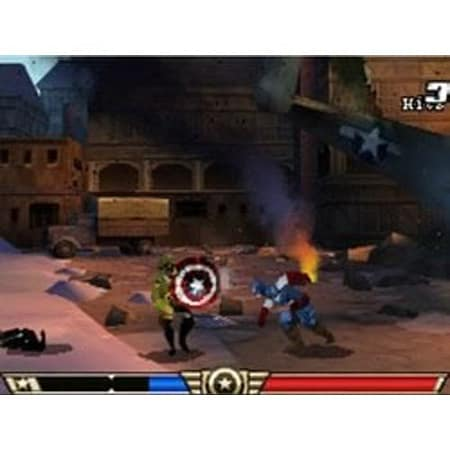 Players will take the role of ‘Super Soldier Captain America and test their skills as they battle infamous enemies such as Iron Cross the Hydra Army and the legendary Red Skull. At their disposal is Captain Americas iconic shield which will be utilised as both a defensive and offensive weapon and be used to execute dozens of innovative and exhilarating moves. The legendary comic book character truly comes to life scaling wallsand taking out multiple enemies in this exciting combat game. The original story for Captain America: Super Soldier is being penned by noted comic film and TV writer Christos Gage the primary writer for the Marvels Avengers: The Initiative series of comics. Gage has written numerous books for major Marvel characters including Siege: Captain America The Invincible Iron Man X-Men Spider-Man Civil War: House of M and Union Jack. Gage wrote his original story for Captain America: Super Soldier so that the setting coincides with the upcoming movie of the same name but he infused the game with immersive twists designed to enhance gameplay alongside all-new cinematic action sequences. The preeminent super hero introduced during the WWII era Captain America was created by the legendary team of Joe Simon and Jack Kirby in 1941. Over 200 million Captain America issues have been sold in 75 countries and the shield-wielding hero is a key member of the Avengers alongside comic book icons The Hulk Iron Man and Thor.